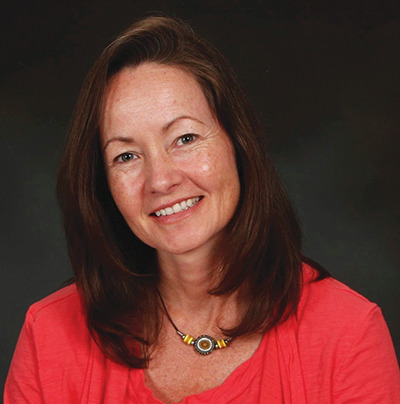 Catherine Austen is a Canadian author of books for young people. She lives in Quebec. I asked her about her writing process. She shares her tribulations and triumphs with us. Margriet: Many of your books are award-winning titles. How did you become a writer? Catherine: I always had an obsessive fondness for paper and pens, so I suppose writing was my calling. As a kid, I liked to write stories for fun, to play with words, to figure out my thoughts. I loved writing letters—a stationary set was the best gift ever. English was my strongest subject, though I was not as avid a reader during school as after. Still, I never expected that writing would be my profession. Perhaps I should have taken English Lit in university, but by 17 I was a voracious reader. I took Political Science, then Environmental Studies, and went to work in wildlife conservation. All the while I wrote stories—and the longer I worked in offices, the more my stories became about unhappy people working in offices wishing they could spend more time with their children and their writing. Eventually I realized that dream, thanks in large part to a supportive spouse. For years now, I have been writing freelance—some fiction and some corporate reports (which, sadly, pay far better). The first story I published was one I wrote for an undergrad English elective. My professor suggested I submit it to a literary magazine, which published it right away, sparing me full knowledge of how much rejection writers face. I wrote more stories during and after university and had about a dozen published. At age 26 I signed a book contract for a collection—but that fell through, and it wasn’t until my 40s that I published my first book. For several years in between, I was working, raising a family and lacked the energy to take much pleasure in writing. 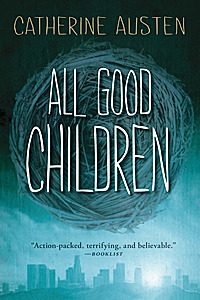 Children’s fiction brought me back to writing in earnest. After reading many great children’s books aloud and seeing their effect on my children and myself, I knew that’s what I wanted to write. There are many detours in any writing life and the only wise advice I might give is: buy that pretty journal and let the ink flow! Margriet: Your books deal with issues that many will recognize: Josh’s mother dies in Walking Backward; a teen rebels in 28 Tricks for a Fearless Grade 6. Are the problems in your books written from an autobiographical viewpoint or do you get your ideas elsewhere? Catherine: I don’t do autobiographical fiction, no. I will take bits and pieces, for sure, but the plot points are not generally autobiographical. I did not lose my mother young; I did not rebel as a teen—although one of my sons came into conflict with school authorities and that helped inspire All Good Children. There are elements of myself and people I know in all my books. 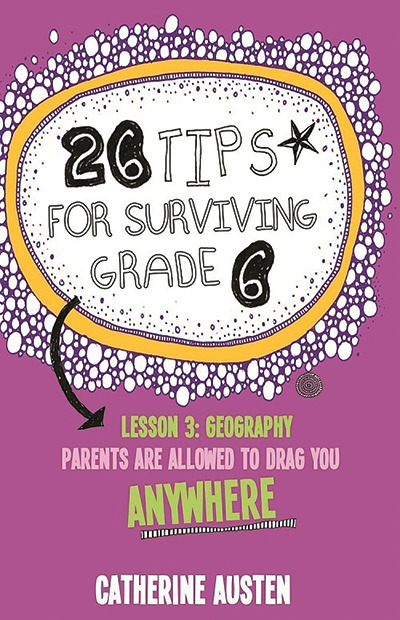 26 Tips for Surviving Grade 6, my only book with a female protagonist thus far, has more of my life in it than the others. But even in that book, it’s more the emotion that’s autobiographical than the plot. I get my ideas by letting my imagination run wild. I spend a lot of time dreaming up stuff. Walking the dog, running on the treadmill, driving long distances—these activities invite stories to enter one’s mind. Margriet: How much and what kind of research do you do for each book? Catherine: It depends on the book. Right now I am in the second revision of a novel about three rats escaping from an impending tsunami (a lab rat, a pet rat, and a wild rat, all of whom I am completely smitten with). I did a lot of rat research for this book, far more than could ever go into the novel. It’s a balancing act of writing and researching. It’s important to get a sense of the story first, then research—which will trigger new ideas and require changes—then more writing. I love research. Really, the reading-and-note-scribbling part of writing is possibly my favourite, when the mind leaps off the diving board of research and the story is full of potential and excitement, before I’m confronted with my own limitations. Putting a cap on research is hard for me. I don’t entirely trust my mind, I worry that I’ll make embarrassing mistakes, I exaggerate the importance of what I’m doing, and I’m just having too much fun reading, thinking and jotting down notes. Margriet: You write both novels and picture books. Is there one genre that you prefer over the other? Catherine: I’m better at novels and short stories. I do love picture books and I would love to publish more of them. Handing off the text and getting back a work of art is quite the gift for a writer. I should work on more picture books. But I must say, novels are my stronger suit. Margriet: Where do you write? Do you require solitude or can you write in planes, trains and automobiles? Catherine: I write from home—on the porch, the kitchen table, at my desk. I do my best writing at my cabin—on a laptop or by hand. I also write in a café with friends once a week—we meet for a WISH (Write in Silence Hour). I work on short fiction for adults in those hours and they’re incredibly productive. I can write on planes and trains very well, possibly better than at home where chores distract me. I first began writing Mischief, my rat adventure, on a plane. I was reading a non-fiction book about invasive rats and my characters came alive in my mind. I began writing in the margins of the book, ideas spilling out with every paragraph I read. A little boy passed down the aisle and saw me writing on a book and he was horrified. I said, “It’s okay. I’m a writer.” I’d love to think of someone getting ideas for their own book while reading one of mine. Go ahead, I’d tell them, scribble in the margins. Margriet: Which books are on your bedside right now? Catherine: I’ve just begun The Witch’s Boy by Kelly Barnhill—it’s wonderful, with a rich fairytale feel of being led through a strange world. Shooter, Caroline Pignat’s latest, is next on my YA list. In adult fiction, I started reading Lifeboat by Charlotte Rogan last night. Then I have Into the Beautiful North by Luis Alberto Urrea to begin. Downstairs in the office, I have A Sheltered Life: The Unexpected History of the Giant Tortoise by Paul Chambers and on the kitchen table is a collection of Mary Oliver’s poems a friend leant to me.